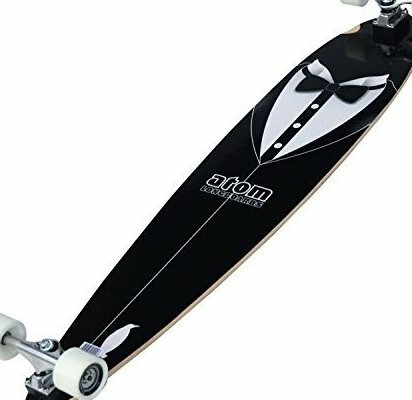 Complete 50-inch longboard with pin-tail from Atom. Full maple laminate deck with high quality 80S grip tape. Traditional longboard trucks with 217-millimeter axles. Wide-lip 65x51-millimeter super high rebound (SHR) urethane wheels. ABEC 5 bearings.